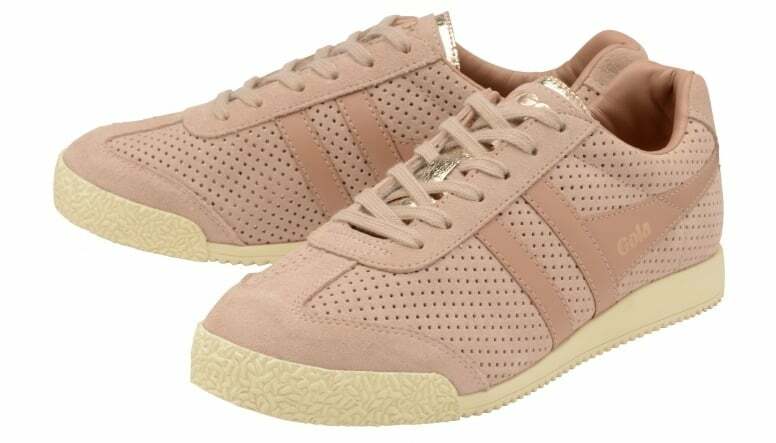 Gola’s flagship style, Harrier continues to develop season on season. Harrier Glimmer Suede features a rose gold metallic underlay reflecting through the suede upper, which gives Harrier Glimmer a contemporary feel. 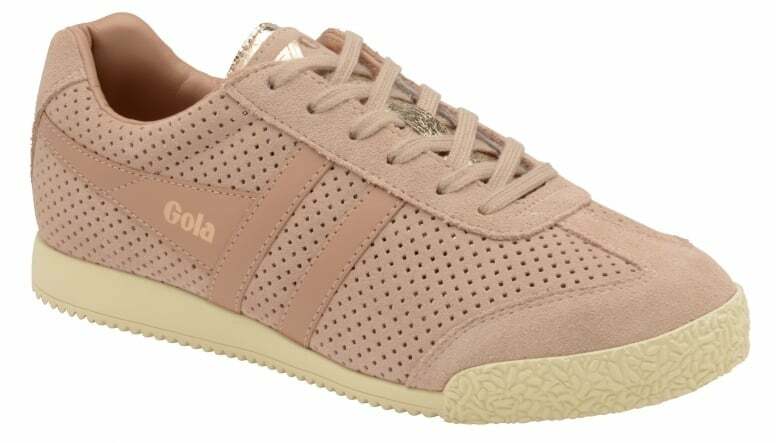 Additional features include a metallic tongue as well as Gola branding to the wingflash. 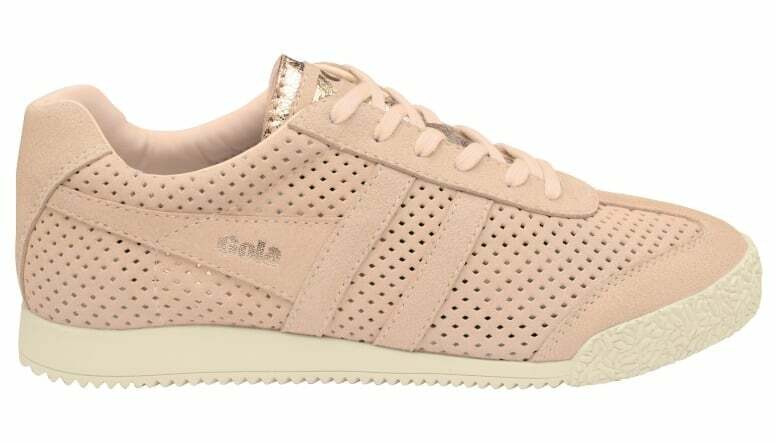 This stylish trainer adds just a touch of metallic to your outfit whilst keeping your look casual.